Hyatt Place is a new kind of hotel that puts style, innovation and The Hyatt Touch(R) within everyone's reach. Our guests will enjoy a Newly Renovated ( March 2014 )spacious guestroom with a 42 in flat panel high-definition television, our signature Hyatt Grand Bed(TM), a plush Cozy Corner oversized sofa sleeper that is separated from the sleeping area, and complimentary high-speed Wi-Fi Internet access throughout the hotel. The innovation extends beyond the guestroom. Our Gallery is a warm and open area that features a self-registration kiosk, an intimate coffee and wine cafe, a TV den and an e-room with free access to a public computer and printer. Guests at Hyatt Place may purchase signature hot breakfast entrees along with Starbucks(R) specialty coffees. World of Hyatt members can enjoy our free breakfast when they book an eligible rate. Our breakfast includes premium ingredients, cage-free eggs, and regional chef-inspired dishes. Served daily from 6:00am-9:30am (Monday-Friday) and 6:00am-10:00am (Sat-Sun) . Hyatt Place also offers a variety of freshly prepared, cafe quality items, including made-to-order entrees, sandwiches, soups, salads and pizza which guests can order 24 hours a day, seven days a week via a touch screen menu in the Guest Kitchen or from the Guest Host. The complimentary Stay Fit(R) fitness center is equipped with state-of-the-art Life Fitness(R) cardio. Also offer comp use of Full Service fitness center La Fitness located 1 block away. Featuring the most advanced LCD touch screen consoles in the fitness industry, the cardio machines let users watch their TV programming while exercising. Discover for yourself how perfectly Hyatt Place fits your lifestyle. Pet policy: 1-6 nights a 75 non-refundable fee. 7-30 nights a 75 non-refundable fee plus an additional 100 cleaning fee. Maximum of 2 dogs per room are permitted. Weight must be 50 lbs or less max of 75lbs per rm. Fees are in USD. Service Animals exempt from fees. Coffee to Cocktails Cafe: Enjoy a Starbucks Coffee, beer, wine, a mixed drink, available in our lobby. Cracker Barrel: Visit Cracker Barrel Restaurant and old Country Store. Enjoy our delicious home style cooking. Applebees: Full Service Chain bar & Grill providing hearty American eats in an informal setting. Rafferty s Restaurant: American Style Food. Bar and Grill, smaller chain restaurant. O Charley s: Casual full service restaurant featuring steaks, poultry, fresh seafood, salads, and sandwiches. Chili s Grill and Bar: Casual dining, American cuisine. Skyline Chili: A sit down chain known for dinner-style dishes garnished with signature Greek chili. Longhorn Steakhouse: Serves the highest quality beef, ribs, chops and more in a inviting western atmosphere. Logan s Steakhouse: Serves hand cut steaks, juicy burgers, slaw, cooked BBQ ribs and made from scratch sides with an authentic southern twist. Hyatt Place Cincinnati Airport is located in the heart of Florence, KY. 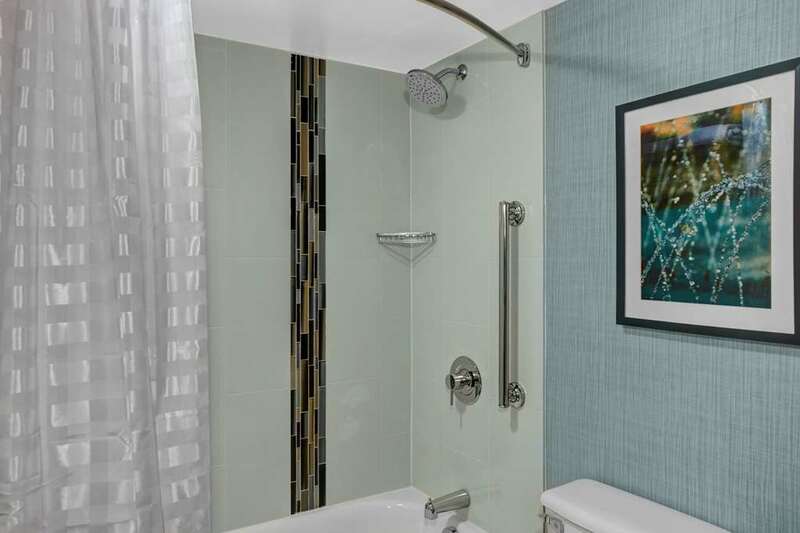 Surrounded by shopping and restaurants as well as only minutes from the Northern Kentucky Greater Cincinnati Airport, business district and some of the areas largest companies. Cincinnati ZooCincinnati Zoo & Bontanical Garden is considered one of the top zoos in the country. You'll find amazing exhibits featuring animals from every continent. Florence MallLargest mall in northern Kentucky, indoor shopping with over 100 stores. Freedom CenterNational Underground Railroad Freedom Center. Newport AquariumIndoor aqaurium with over 5,000 types of sharks, fish and sea life. Group rates and private function space available. Paramounts Kings IslandTheme park with over 50 rides and attractions. Water park and largest wooden roller coaster.